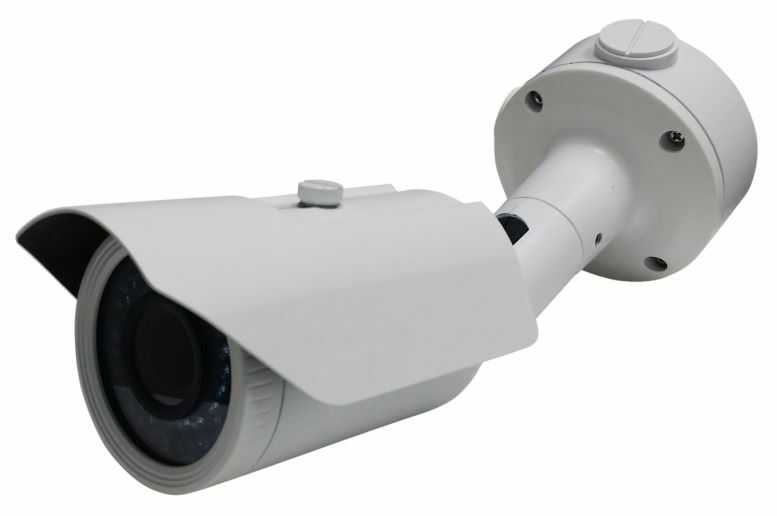 The VBIR5MP HD-TVI camera produces 5 megapixel image resolution with up to 120 ft. of infrared night vision. The camera also features a varifocal 2.8~12mm lens and UTC/COC for convenient access to the cameras menu right from your DVR. The day/night CMOS sensor provides full color images during the day then switches to IR assisted black and white images at night to maintain picture quality. The camera also has a full on screen display menu if you find you need to adjust any image settings for your particular needs. The VBIR5MP camera housing is rated IP66 weatherproof ensuring its reliability in all outdoor conditions but can be used indoors as well. The concealed cable mounting bracket even comes with a junction box if needed and is fully adjustable..